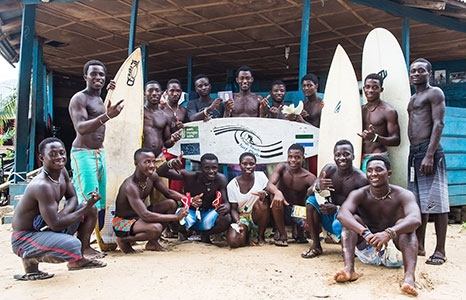 Big Wata (The Ocean) is a documentary about the first and only surf club in Sierra Leone. During the Ebola outbreak, the younger members of a West African fishing community discover surfing as their identity and purpose in life. Wanting to break free from the restrictions of a traditional community, a suspended surf club member embarks on a journey, only to return with a newfound appreciation for the place he so badly wanted to leave. Woza ("Come" in Zulu) tells the story of an African surfer who has been taken as a lover by the African water spirit Mami Wata. It features 22 year-old Transkei surfer, Avuyile Ndamase.